I love my kids more than life itself. Let's just get that out of the way. But can I be real? Parenting is hard. Some days I serious feel like I am losing it. Whatever it is. And some nights I lay in bed and wonder if I've just completely messed up my kids for life. Will they sit in a therapists office one day blaming me, the mom, for everything wrong in their life? Have I just completely done them in? Many, many days I've cried to the Father for help. Some days my pleas come in the form of honest cries and some days they are desperately asking God to fix these kids fast. In Becky Harling's new book, The 30 Day Praise Challenge for Parents, I felt as though Becky was sharing my story. Even from page 1. She talks of loving motherhood, but honestly sharing that some days she felt like she'd lose her mind, or worse yet, mess up their little minds. Has anyone else been there? Is it just Becky and me? I learned that praising God isn't just some glib hallelujah when finances are prospering, your health is flourishing and your family is thriving. Praising God is an intentional declaration by faith that exalts God above your life circumstances. I know. I know. 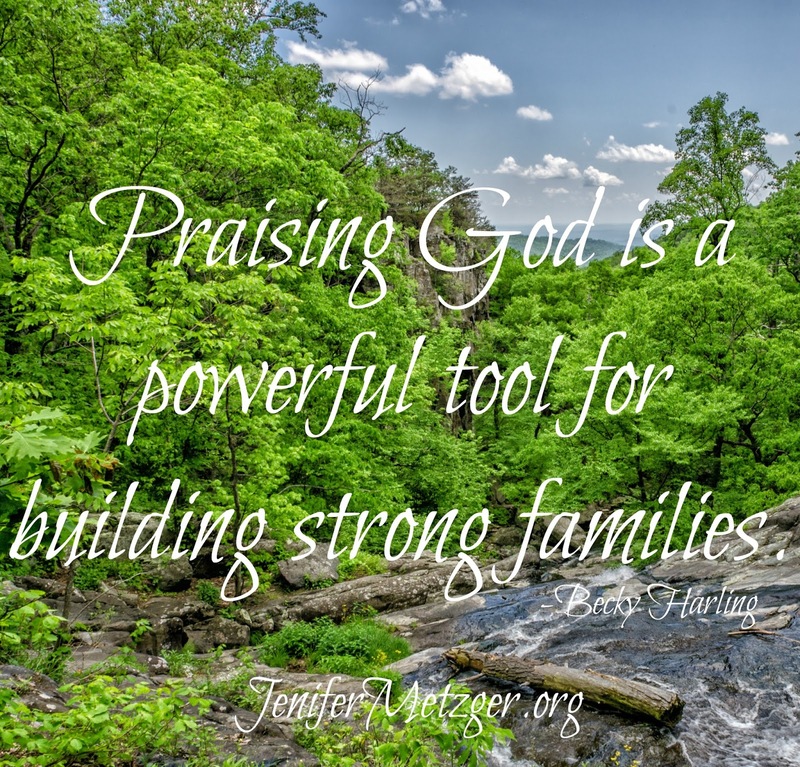 Among the chaos of daily life with little ones and diapers or teenagers and sass, or maybe for you it's both, spending time praising God for them doesn't always seem appealing. Like, not at all. But when we think of pulling our hair out, which seems better: hair loss or praise? As I praised God intentionally, my children's faith began to grow deeper and Satan's tactics to destroy our family were defeated. For 30 days, Becky challenges you to spend time in praise. Each day has a Scripture, a time to listen, a time to pray and a journaling prompt. I love the new outlook I am getting through this challenge. The 30 Day Praise Challenge for Parents is a must-read for all parents. 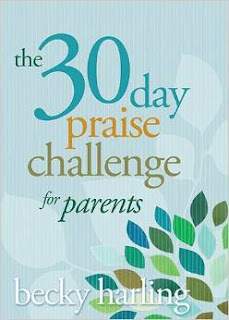 To enter to win a copy of The 30 Day Praise Challenge for Parents, complete each task in the rafflecopter below.